Minnie and her pals will gather everyone to join a surprise party for her favorite guy, Mickey! This new surprise celebration will transform the buildings along Main Street, U.S.A. into a canvas of vibrant, colorful visuals that pay tribute to Mickey’s major milestones. The artistic experience features Mickey’s memorable classics, his full-color heyday, and a crazy kaleidoscope of Mickey in modern styles. 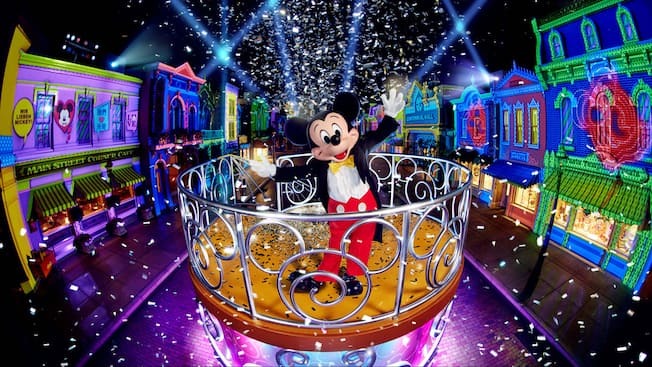 Don’t forget to share your applause for surprise Mickey himself, who will appear in his finest attire. Everyone is invited to this grand event that you’ll want to relive again and again!